I also would like to know. In the meantime, I manually downloaded the updated AIRAC to a temp file and manually updated the QW folder in P3D v4. There is an important issue with the cockpit... See picture attached. Will this work with the Professional series? Oh I can clearly understand the haters will always hate, and that the so-called purists will always make the most noise. Perhaps it is a question of how the product is presented, or a question of perhaps putting different difficulty versions (i.e. from lite to full blown)... all this to say, I hope that you guys do invest in that product line - I'll even publicly defend it (for what it is worth). I'll look into the Airbus series, but I keep reading that there is heavy reading before using the aircraft to understand how it is used. Thanks for the reply! Hi Aerosoft! First and foremost - a huge thank you for all the years of amazing products and client support - you guys really outshine most of the competition, and I always feel appreciated as a customer when purchasing your products and liaising with you in the forums for tech support. Here is my question: A few years ago, there was a brief post mentioning of the possibility that Aerosoft would publish a beginner to intermediate aircraft for those of us who do not have the deep technical know-how, or quite frankly the time to invest in learning every single detail on how to use the FMC, cold start, etc etc... something along the lines of QualityWings I guess (so-called 'lite' panels)... Seeing on the really positive review of the Airbus series and now the recently released CRJ, are there any plans for the other silent majority of us casual fliers? I could see how releasing the complicated versions would make it easier to "dumb it down" (sorry for the lack of a better term)... plus it would also gradually introduce the more complicated stuff on how to cold start, using the APU, using a limited FMC, etc... I also think I remember reading that the market research team had demonstrated the commercial viability of such a product (I can see a couple of VA's would love to have that for their beginner pilots to invest in)... Cheers! So, this is what I have at the moment: F Drive - FSX SE On my C drive: [username]/appdata/roaming/microsoft/FSX (that is where I have my dll.xml and FSX.cfg) and also C drive: Program Data/Microsoft/FSX (scenery.cfg). No seperate folders for FSX SE can be found (other than under my Steam Games). Keep in mind I systematically chose the FSX SE when installing my previous scenery. Oh and by the way, Frankfurt 2.0 is absolutely STUNNING on my new PC (and also with FTX Global). 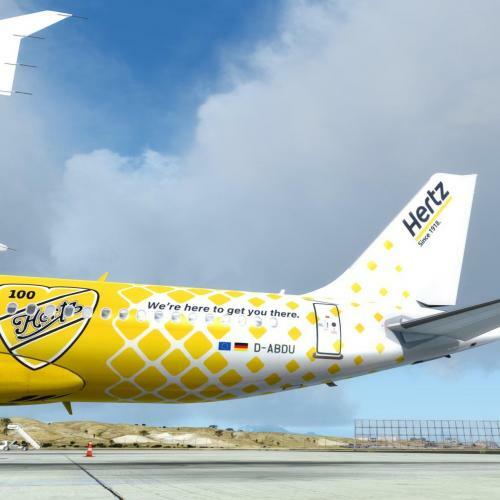 Amazing work Aerosoft/German Airports Team. Knowing what I know now, I get it, but it also makes no sense. Why would Aerosoft take the time and effort to make a specific distinction between the two in the installer? Plus, it is not specified in the installation instructions to specifically choose FSX instead of FSX SE if I never installed FSX boxed version. Shouldn't that be specified in the installer as well? So a funny thing happened this morning... I had to unplug my Western Digital HD (which houses my FSX SE) from my motherboard as I needed a spare SATA cable for a few mins to plug in my BluRay drive. When I reinserted the SATA cable in the HD, Windows 10 decided to change the denomination of my HD from E drive to... F drive. No idea why. Obviously, that screwed up a lot of things with FSX, AS16, FTX, etc. Not a huge hurdle per se, just time consuming to remap everything. I did have to uninstall my scenery (FSX could not find the paths to them, obviously). Not even 5 mins ago, I reinstalled Frankfurt 2.0 (yes, now that is my 3rd time in less than a month I am installing it), selecting FSX SE in the installer (just minutes before your reply Tom), and it worked like a charm. It even registered in the scenery.cfg. I am running out of ideas here on why it did not work before, and now it did. Problem (sort of...?) solved? The first time, it was with AES. Understand that when I was rebuilding FSX, it had been nearly 5 years since the last time I flew on FSX, and I had recently purchased FSX SE. I had no idea it was not compatible with FSX SE (yet). It also automatically installs with (if memory serves me right) GAP 2 - Köln/Bonn, and also GAP 3 Berlin Tegel I believe. Knowing now it causes issues with FSX SE, I just delete the folder in FSX SE, and disable it in the dll.xml: <Launch.Addon> <Name>VistaMare Core</Name> <Disabled>true</Disabled> <ManualLoad>true</ManualLoad> <Path>VistaMare\ViMaCoreX.dll</Path> </Launch.Addon> Yes, I was aware that FSX SE behaves like FSX for the folders. When I install a scenery, and I can specifically choose between FSX and FSX SE, you are telling me I should be selecting just FSX? ?